If you've had a bump in your car, and need to use your insurance, we will pay up to £350 of your excess! Car Body Repair Cardiff – We Will Pay Up To £350 Of Your Excess! 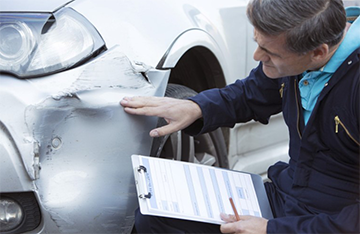 Car body repair Cardiff will certainly be required if you have been involved in any sort of accident on the road. 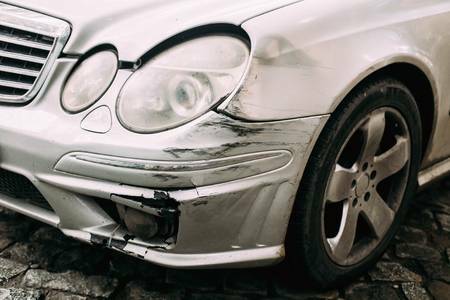 Here at Crash Bang Wallop Crash Repair Ltd, not only will we make sure your car is restored to its former glory, but we will even pay up to £350 of your excess if you’re claiming on your insurance. 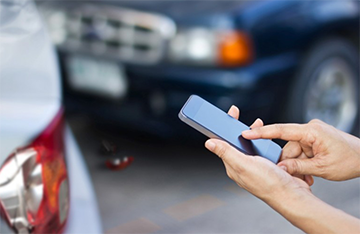 Our service couldn’t be easier: simply snap a photo of the damage to your car, send us an email containing the snap(s), and we will come back to you with a quote for your car repairs Cardiff wide within minutes! A crash is stressful enough, so we aim to make the repair process as easy as possible. When it comes to car repairs Cardiff and the surrounding areas, one of the things that truly sets us apart is the useful extra services we provide for our customers. Not only do we make the quote process as simple and quick as possible, but we will even pay your excess for you! If that wasn’t enough, we can provide you with a courtesy car too. We will ensure everything is handled quickly and efficiently so that you are back on the roads as soon as possible. Try our super quick quote service. Just photo the damaged areas and email them over and we will try to give you a quote within a few minutes (check your junk folder). Everyone knows having to pay your insurance excess can be expensive and always comes at the wrong time. But not anymore, we pay your excess charge! Choose us for your insurance repairs and receive a free courtesy car, even if you don't have courtesy car cover on your policy! Where else are going to find a car body shop Cardiff wide that offers this? We offer courtesy cars and hire cars to all of our customers depending on what your needs are. Booking required. Simply give us a call or send us an email if you would like to discover your options for getting on the road while your car undergoes our car body repair Cardiff service. One thing that never seems to surprise is us the level of damage that can be caused to a vehicle after a collision. We have dealt with all sorts of cracks and damaged bodywork, and so you can be certain that we will be able to provide the service you need. No matter whether your car has a couple of scratches or it is barely recognisable, we you can count on us to do our best to restore it to its former state. We also provide alloy wheel repair Cardiff wide. When it comes to Cardiff alloy repair and refurbishment, not only can we restore your wheels to their former glory, but also we can enhance them, giving you a full spectrum of colours to choose from. If you are worried your wheels are beyond saving, give us a call first before you make that decision. Even cracked alloys can be repaired. We also have a specialist crack repair system, specifically designed for restoring plastic bodywork. From holes to cracks, we are able to repair virtually any type of plastic. This is because we are dedicated to finding, learning, and using the latest technologies and we always stay up-to-date with any new developments in the industry. This is something that rings true for all of the repair services we provide. To discover more about the services we offer, simply click on the “services” tab or give us a call/send us an email to discuss your car’s unique requirements. If your car has gone crash bang wallop Cardiff wide, then you need Crash Bang Wallop Crash Repair Ltd; a team of established car body repair & alloy wheel repair experts based in Rumney, Cardiff. We pride ourselves on our level of service & are always competitive with our prices! We provide a range of services, from Alloy wheel repairs and refurbishment to accident repair Cardiff wide. Simply click on the “gallery” tab to have a look through some of the work we’ve done for our customers. We are sure that this will give you peace of mind when choosing our service. We are proud to have an outstanding reputation in the industry. If you do a quick search online, you will see that we have received great feedback from our customers. Not only have we received numerous positive reviews from our customers on Facebook, but also we are delighted to have a great rating on independent review platform Yelp. We hope that this will help to answer any questions you may have, but if not, please don’t hesitate to ask us any car body work questions that you have; we will be more than happy to help with any of your car body repair or alloy wheel refurb needs. We know that you have had a stressful time and that a car body repair Cardiff is the last thing you want or need, which is why we have worked hard to make sure the process is quick and stress-free. If you are interested in our car body repair Cardiff based service, try our super quick quote service. Just photo the damaged areas and email them over to info@crashbangwallop.org, and our car body repair specialists Cardiff based will try to give you a quote within a few minutes. Make sure you leave a contact number so we can reach you. 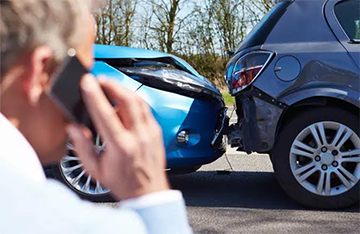 Our quotations are very competitive, we beat most realistic quotes, and we don’t offer cheap second-rate workmanship at Crash Bang Wallop Crash Repair Ltd. If you have any queries, please do not hesitate to give us a call on 02920 369963. Congratulations! You are now listed as one of the Top 3 Car body shops in Cardiff. We would like to Thank You for providing consistent high quality in your area of business. Our review team either approved or updated your business listing using our 50-Point Inspection which includes everything from checking reputation, history, complaints, ratings, satisfaction, trust and cost to the general excellence.